Since 2012, the energy on this planet has changed considerably, with much more high-frequency energy coming in. In addition, many of the tools and techniques we have been using on the ascension path have moved to a new vibration with different geometric set-ups. 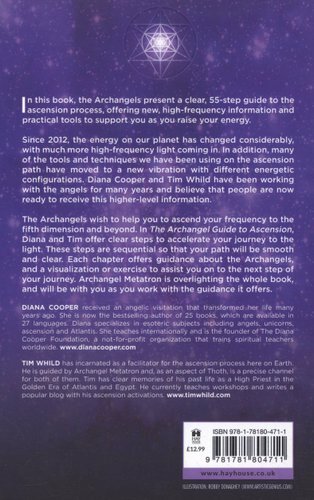 Diana Cooper and Tim Whild have been working with the angels for many years and believe that people are ready to receive this higher-level information. In this book, they share new, high-frequency ascension information with their readers. The Archangels are stepping in now to help you to ascend your frequency to the fifth dimension and beyond. 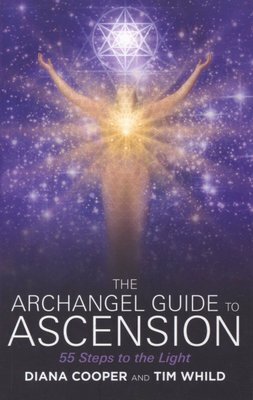 In "The Archangel's Guide to Ascension," they offer clear steps to accelerate your journey to the light. These steps are sequential so that your path will be smooth and clear. 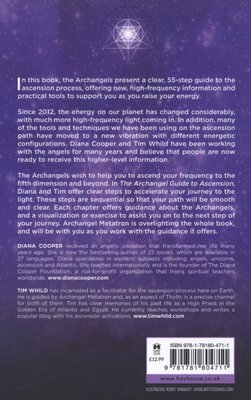 Each chapter offers guidance about the Archangels, information about the step you are on, and a visualization to assist you. Archangel Metatron, who vibrates with the number 55, is overlighting the whole book, and will be with you as you work with the guidance it offers.